We’ll get on to his other mega hits shortly, but it was Paul’s shrewd reworking of this Humate classic which helped introduce his name to a whole new audience — and one independent of The Visions of Shiba at that. An epic remix of a melancholic anthem, Paul tackled Humate’s ‘Love Stimulation’ with the sort of restraint and poise that would become his trademark in later years. With trance’s comeback well and truly underway, we reckon it’s high time we heard this one banged out in a club soon. A stunning and emotive remix, this is about as fine a track you can end a night on. ‘For an Angel’ is quite simply the Paul van Dyk track. Initially released in late 1994, its popularity soon spread like wildfire; in the process helping to announce Van Dyk as one of his country’s biggest music stars. One of the most influential electronic music tracks of all time, it set the benchmark for trance in the mid-‘90s and continues to dazzle audiences to this day. Such was the track’s popularity that it spawned a string of remixes and re-releases, but as is so often the case, it’s the original that’s truly stood the test of time. An absolute masterpiece and an exercise in how to produce classy trance without resorting to cliches, we’ll likely never tire of ‘For an Angel’’s undoubted brilliance. Considering the impact it’s played in his career, we’re sure it’s very much the same for the man himself! 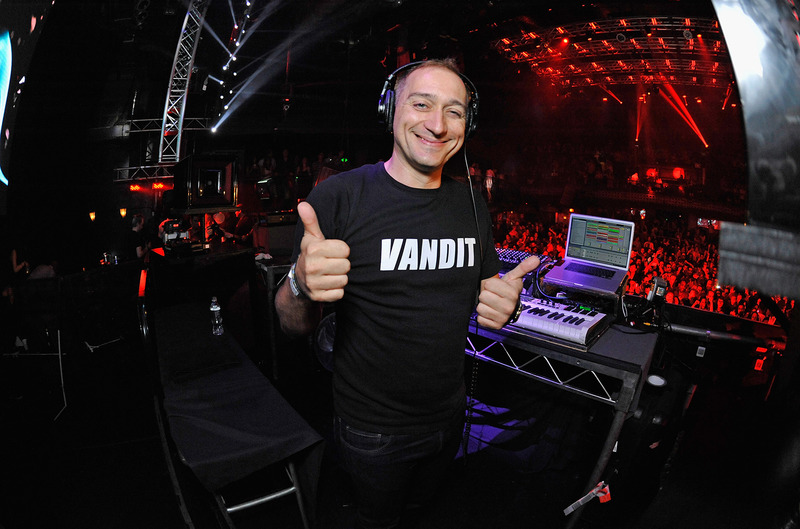 Van Dyk established his Vandit label in 1999, which quickly became one of trance’s biggest labels. Aside from his own productions, it’s also hosted works by other legends of the scene such as Bryan Kearney, Alex M.O.R.P.H, Giuseppe Ottaviani and Judge Jules. In 2015, the label celebrated its fifteenth birthday with the digital release, ‘The Best of Vandit’. Paul van Dyk’s longevity in the scene is admirable and it’s telling that almost 20 years after he first established it, Vandit is still going strong. Paul van Dyk is an outspoken chap, and when he took up residency at Sheffield’s Gatecrasher he declared himself anti-drugs, making him one of the first high-profile DJs to do so. This ultimately led to the rise of the iconic (but ultimately short-lived) “No E, pure PvD” tagline, though whether or not the ‘crasher kids’ actually followed the motto is another matter entirely. Nonetheless, van Dyk’s stance here is an admirable one, and it’s tempting to wonder if his longevity is in some way attributable to his clean living. Few DJs embody Cream Ibiza’s legacy quite like Paul van Dyk. A long-standing relationship that’s been highly reciprocal for both parties, Van Dyk has been a mainstay at the Amnensia institution since way back when. Still one of the island’s biggest draw, he’s also a man who understands and appreciates exactly what it means to represent the Cream brand. Long may it continue. Paul van Dyk’s career has been littered with accolades - and rightly so. In 2005, Paul was voted the world's No.1 DJ in our Top 100 DJs poll, sweeping the board thanks to an adoring fan base that voted for him in their droves. In 2006, he retained the title, and is one of few DJs to do so. Van Dyk’s career has also been recognised by the Grammy Awards judges in the U.S., and he won Best Soundtrack in a Motion Picture back in 2008 for his work on the Batman movie, ‘The Dark Knight’. Check out this cracking footage of Paul picking up the award from none other than Boy George and Yoko Ono. As we touched on earlier, Paul van Dyk grew up during a time of great turmoil in East Germany, with the fall of the wall in 1989 impacting him greatly. In 2009, he celebrated 20 years since the fall of the wall courtesy with a new “musical monument” — an album entitled ‘We Are One’. Debuted at the Festival of Freedom in 2009, the festivities were held at the Brandenburg Gate and featured political figures as diverse as then French president Nicolas Sarkozy, ex-British Prime Minster Gordon Brown and the USA's very own Hilary Clinton. Needless to say, Frau Merkel was in attendance also and while we’re unsure any of those latter names will be swinging from the rafters in Cream next summer, we’ve no doubt they too enjoyed van Dyk’s emotionally charged album set. ‘We Are One’ is far from the first time Paul van Dyk has flirted with politics. In 2001, he released his first commercially available mix, entitled ‘Politics of Dancing’. A fascinating insight into Van Dyk’s skill as a DJ, the inaugural mix featured a host of his own remixes, with Van Dyk putting a spin on works from artists as diverse as U2, iiO and Second Son. Needless to say, the CDs sold like hot cakes, and it’s been the basis for numerous mix CDs since. If you can’t catch Van Dyk at a club near you soon, we strongly suggest you check these out. When Paul van Dyk suffered a near-death fall in 2016, we were all understandably worried for his health. That he’s lived to tell the tale and emerged stronger than ever, both physically and from a musical standpoint, owes much not just to his positive outlook on life, but also an unrelenting ambition that continues to see him produce great music. Defined by tracks such as the brilliantly euphoric ‘Stronger Together’, ‘From Then On’ is right up there with Paul van Dyk’s best albums of all-time. Paul van Dyk, we salute you. Here’s to many more great moments in the years to come!